Let’s just get this out of the way. 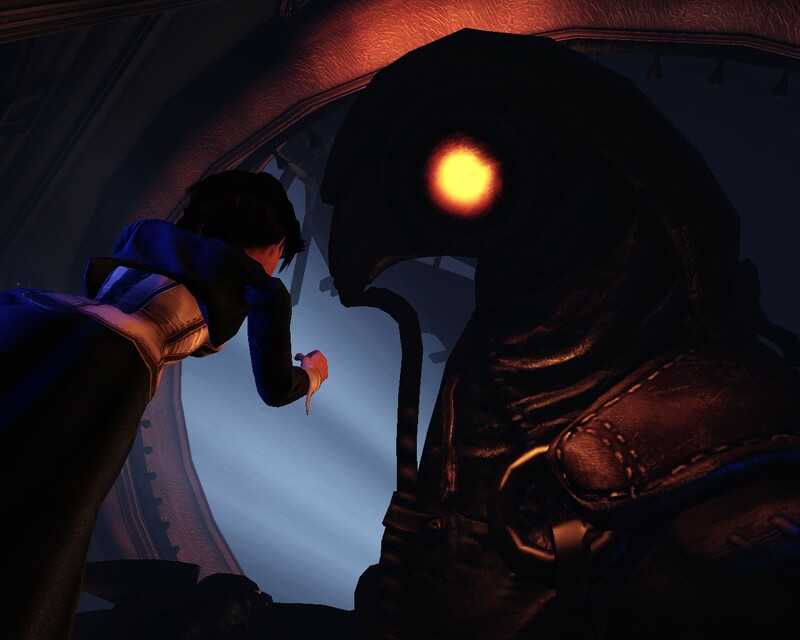 Bioshock Infinite is an ok game, with a great story. I don’t believe it is the game of the year shoe-in that most reviewers seem to think it is, but it is definitely in the running. Whew, now that that’s out there, let’s talk about what sort of game this is, and why I feel the way I do. 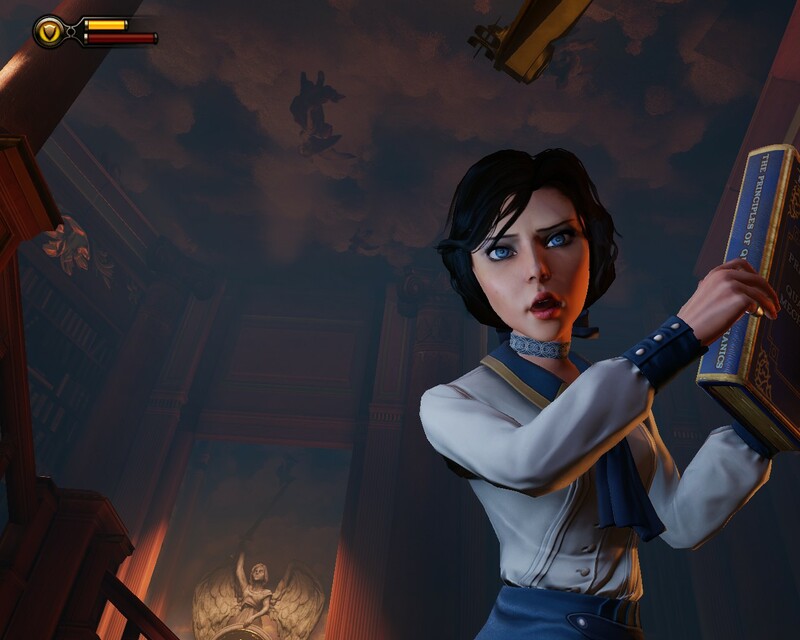 Bioshock Infinite is the new entry into the Bioshock line of games started by Irrational Games. It is a FPS (first person shooter) wherein you control the character, Booker Dewitt. Dewitt has been hired by some shadey characters and told to “bring us the girl and wipe away the debt”. He is rocketed to a floating city known as Columbia, where he must locate and acquire Elizabeth. 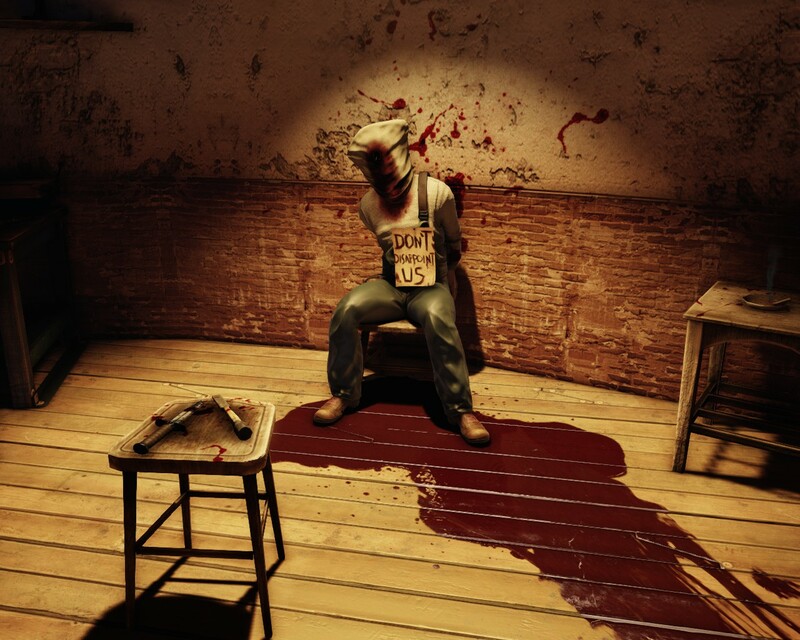 It seems Elizabeth is a very special person, and is being held captive by her father, Zachary Comstock. Comstock is also the Jim Jones-esque ruler of this floating paradise, and doesn’t much appreciate your interest in his daughter. Hijinks ensue. I won’t tell you much more of the story, as that is the primary value of this game. The twists are interesting and unpredictable, so don’t let anyone spoil them for you. But how is Bioshock Infinite as a game? The Songbird. Big Bird’s horrifying, overprotective cousin. 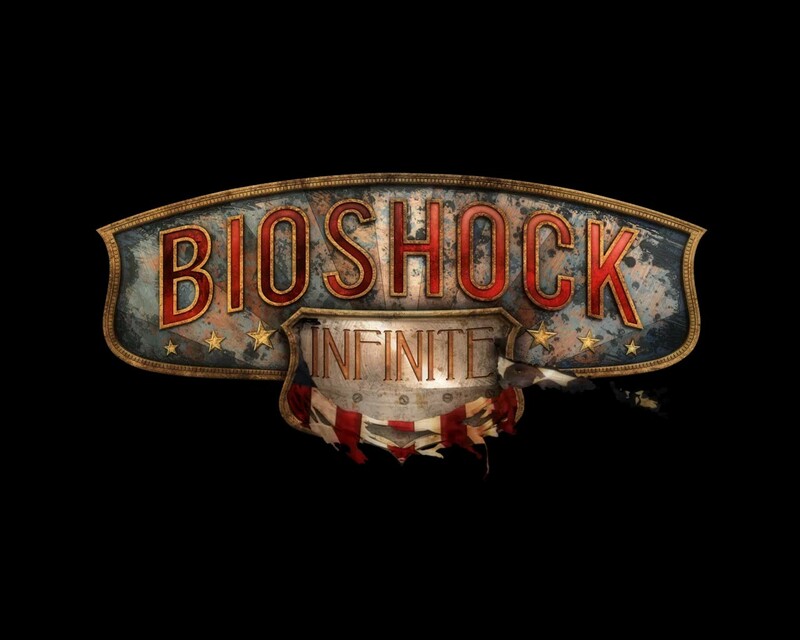 As a shooter, Bioshock Infinite is mediocre. You have an assortment of weapons at your disposal, but none of them are particularly fun to use (other than the shotgun). Some of them felt damn near useless, and because of the fact that you can only carry two at a time, and ammo is plentiful, I tended to stick to the same two. Also of use are “vigors”. Vigors are basically magic spells imparted by imbibing elixirs found throughout the game. They aren’t nearly as fun as the plasmids from Bioshock 1, however, and I found myself using the same one over and over (the electric shock vigor mostly). Each vigor has an alternate, “trap” mode, which I didn’t use at all. I feel like vigors could have been left out completely and no harm would have been done. Weapons and magic wouldn’t be of much use without something to use them on, and the game throws plenty of enemies at you. The problem, though, is that usually this in the form of ambushes where you fight a certain number of enemies that pop up when you enter a room, and you can’t continue until you’ve killed them all. The last game I remember that did this constantly was Duke Nukem Forever…not a favorable comparison. Enemy variety is pretty lacking, and you’ll find yourself killing what seems like the same monster/person repeatedly. Despite the disappointing action, the environment you will be traversing is stunning and well imagined. The levels are linear, but beautiful. Eschewing the cramped, dank corridors of Bioshock 1’s Rapture, Columbia feels open and airy, with sunbeams shining through windows and verdant greenery brightening up your screen as you battle in the streets and buildings. The 3rd dimension is not ignored like in most other games, and you’ll find yourself zipping along sky-lines, shooting enemies from above and dropping down on your prey like an avenging angel (or devil). You won’t be alone in this adventure. After you rescue Elizabeth, you have a companion throughout the rest of the game. She doesn’t get in the way, can’t be harmed, and can be useful in a jam. She’ll throw you a health pack when you’re about to kick the bucket, money when you need it (and when you don’t), and a pithy comment now and again. She also has a bad habit of knocking you upside the head on occasion. Oh, and did I mention she can open up tears into other realities, sometimes dragging objects into your reality to aid you? Upside your head. So helpful. The only thing that kept me playing the game (which was pretty short…I finished it in 10 hours or so) was the story. I found the action repetitive and lackluster. The story is worth it, though, and the ending will have you scratching your head and taking to the Internet for clarification. Even though I didn’t much enjoy the shooting aspect of the game, it’s a testament to the story that once I completed the game, I wanted to replay it to see what I missed. 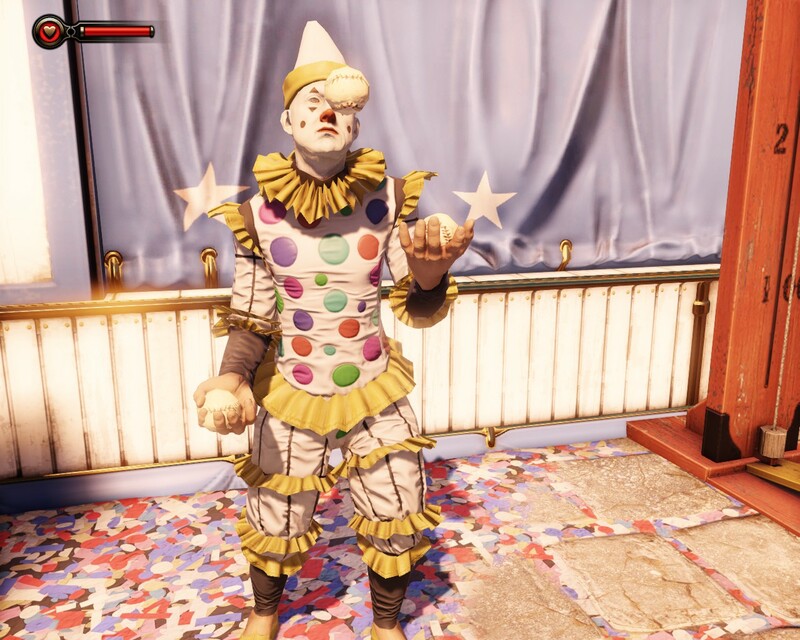 When you’re feeling down, stare at a clown.